The walking holiday phenomenon has taken Europe and the UK by storm with a range of companies arranging multiday routes. On Foot Holidays, one of Europe’s leading self-guided walking tour operators, offers walkers around the world 28 self-guided tours across unspoilt areas of Europe. Boutique accommodation, meals, excellent wines and information packs are provided for all the routes and optional guides are available on select itineraries. This is an ideal holiday for independent travellers who prefer intimate encounters with destinations. Walkers can select their own departure dates, luggage is transferred between inns each day and all routes are designed by locals and tested by staff from On Foot Holidays. Some of the routes to choose from traverse the Greek Islands, Northern Provence in France, Dubrovnik in Croatia and Southwest England. With so many options available, it’s easy to break out of air-conditioned comfort into a world experienced on foot where your senses come to life. Below are some of the more scenic walks of Europe… go on pick one! The ancient Camino de Santiago – the most famous group of walking routes in the world – has attracted millions of pilgrims to Spain since the 9th Century. It is said that a hermit discovered the bones of the apostle St James in Santiago de Compostela, which is the endpoint of the famous walks. Whatever the reality, the discovery quickly led to significant spiritual and political regeneration in Spain and the rest of Europe and ever since, pilgrims have made their way on foot (or, more recently, bicycle) to the cathedral of Santiago. 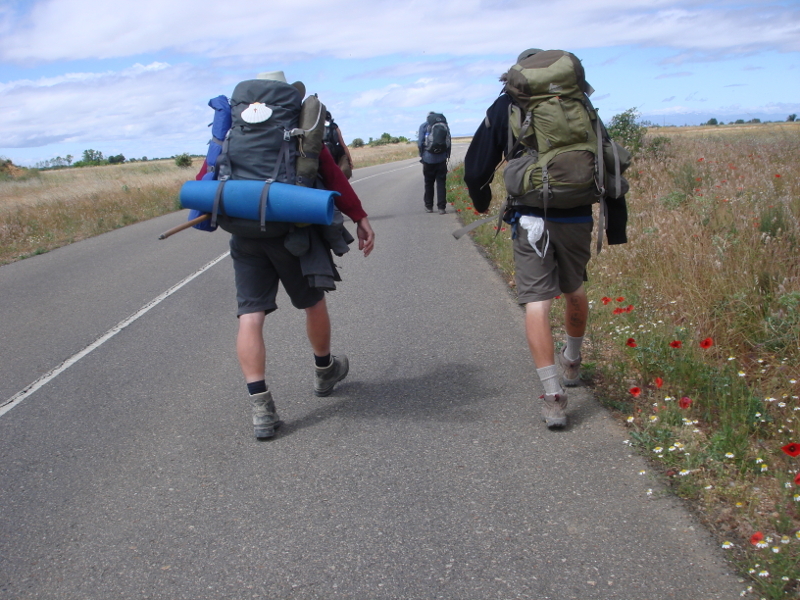 Over time the Camino de Santiago has grown in popularity. Today over 250 000 walkers hike its many routes every year in pursuit of spiritual enlightenment or simply a wholesome physical challenge. The most popular route is the Camino Frances, which starts in France, but for those in search of solitude, there are a few other options. Most notable is the Camino Primitivo, which starts in Oviedo (northwest Spain) and ends two weeks later in Santiago. This is the oldest, most remote and arguably most scenic of all the ways. King Alfonso the Chaste of Asturias allegedly walked this way in 814AD – whether he followed the exact route is unknown, but the wealth of churches and other evidence along the route suggest that it was something very close to it. Your journey starts at the cathedral in Oviedo and quickly climbs into the rolling Asturian Hills. After many days of walking you finally arrive at the Roman-walled town of Lugo, one of the highlights along the route. Four days after leaving Lugo, you’ll enter Santiago and its central square where you’ll rejoice with scores of other pilgrims who have come from afar. It is here where you can claim your very own “Compostela” certificate, but only if you’d walked the last 100km to Santiago on foot. The average pilgrim takes one month to complete this route, although shorter stretches are optional. Level: medium to hard; distance: 20-30 km per day. Best time to go: April to September. 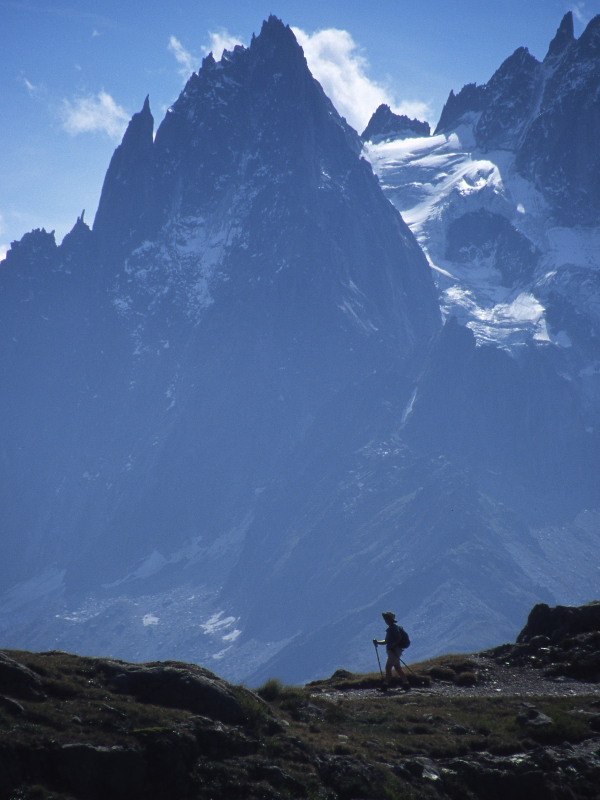 Mont Blanc in France rises 4000 metres above sea level and is regarded the finest mountain in Europe. Its terrain is a walker’s paradise with awe-inspiring trails that lead past meadows, forests and rolling hills. In summer the hills come alive with colourful flowers and at higher altitudes glaciers and snowfields can be seen. Start a seven-day walk at St. Gervais and head towards Les Contamines along the ‘Route du Baroque’. Historic chapels and valleys mark the way. The path then goes deep into the Chamonix Valley where the Glacier de Miage comes into view and onto Les Houches. From there it’s a beautiful walk through forested terrain towards Chamonix. Opt to take a cable car to 3800 metres above sea level for the best views of the Alps. Along the way, treat yourself to delicious cheeses and top-notch French wines. Level: medium to hard (easier options available); distance: 6-19km per day. Best time to go: July, August, September. The spectacular Amalfi Coast is a Mediterranean feast from start to finish. Old fishing towns tumble down to water’s edge, coves offer idyllic swimming breaks and homemade gelato can be found around every other corner. Start your five-day walk in Amalfi and admire its cathedral and castle. From here it’s a trek along medieval paths and through a fjord towards Praiano. 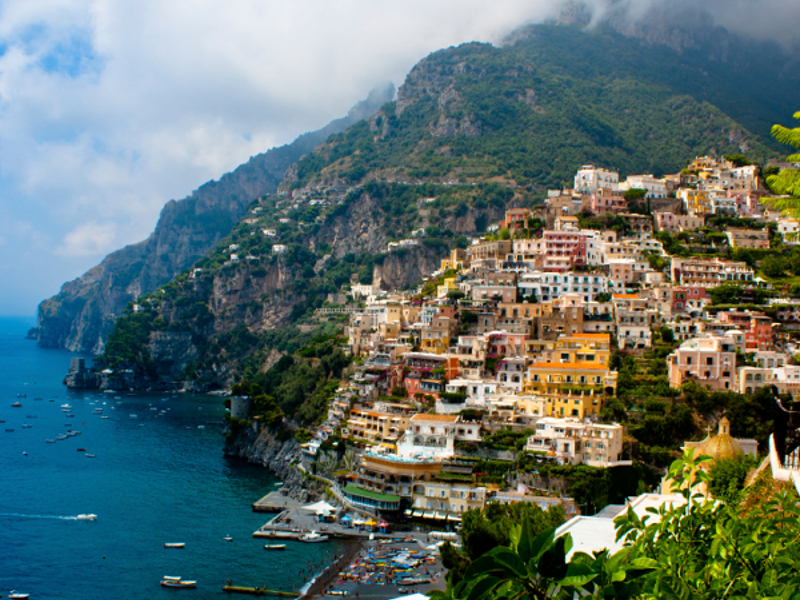 The next stretch to Positano traces wild hillsides, mountain villages and the ocean. Visit an uninhabited monastery en-route, before reaching your overnight destination. The way to Sant’Agate is along a rugged ridge, which leads to beautiful Sorrento where you can spend a few days swimming, sunbathing and sipping Limoncello. Distance: 8-15 km per day. 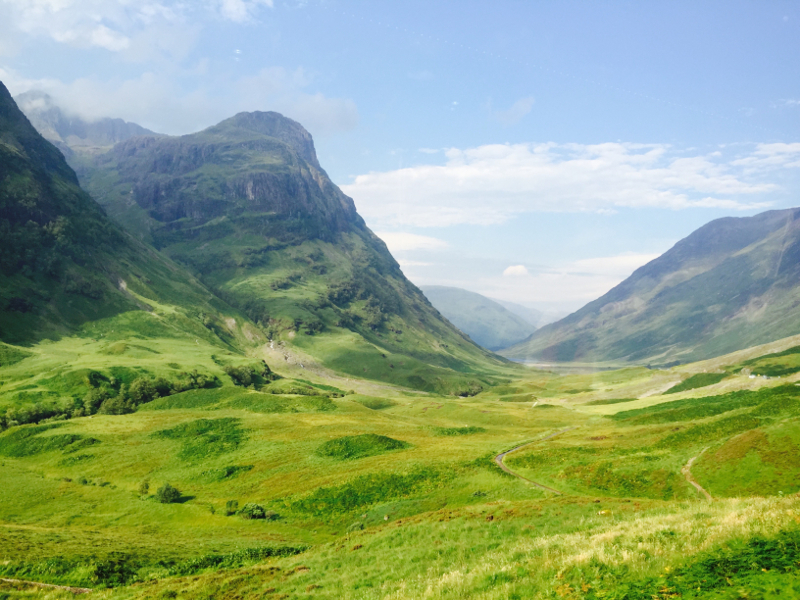 The West Highland Way starts in Glasgow and ends 154 kilometres later in Fort William. It’s a stunner of a route, which winds past lush rolling hills, fast-flowing rivers, sparking lakes and magical forests. Campsites, inns and cozy pubs can be found all along the way. Every year over 80 000 hikers walk this way into the heart of William Wallace (aka Braveheart) territory. Level: Medium to hard; distance: 21km per day. Best time to go: April to October. 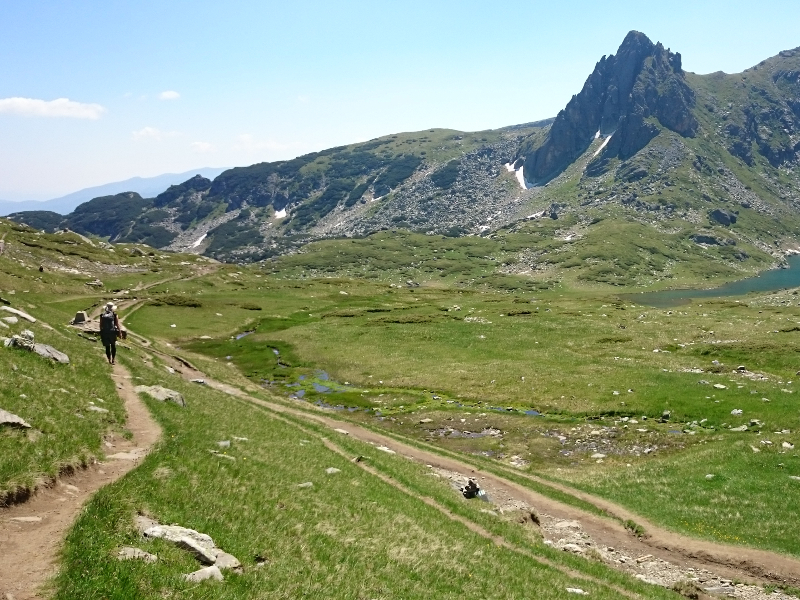 Often overlooked, Bulgaria offers some of Europe’s best terrain for walking. For the ultimate Balkan adventure, opt for a six-day guided walk to the top of Mt Musala, one of Europe’s highest peaks. A lift system is nearby to do some of the hard yards for you. Included in the itinerary is a second uphill trek to the top of Maliovitsa, another impressive peak. Lakes, wild flowers and wild horses can be seen as you walk towards one of Bulgaria’s most famous mountain refuges for an overnight stay. Your trek concludes with a 1500 metre decent through meadows and oak woodlands towards the World Heritage Rila Monastery. Level: hard; distance: 11-19km per day. Rated one of Europe’s leading self-guided walking tour operators, On Foot Holidays offers 28 self-guided walking tours across Europe. Boutique accommodation, meals, excellent wines and information packs are provided for all their routes and optional guides are available on select itineraries. Walkers select their departure dates, luggage is transferred between inns each day and all routes are designed by locals and tested by staff from On Foot Holidays.